If you have lost your nose guard, or it's starting to look a bit tired, then let us help you out by supplying you with a new one!. We stock all available colours for whatever colour your goggle is, or if you're feeling brave you could mix and match. 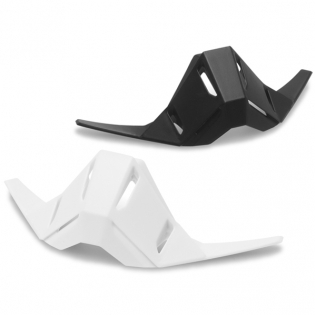 A simple attachment of the 100% nose guard provides increased protection. Please note: Fits Racecraft models only.